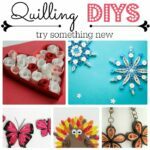 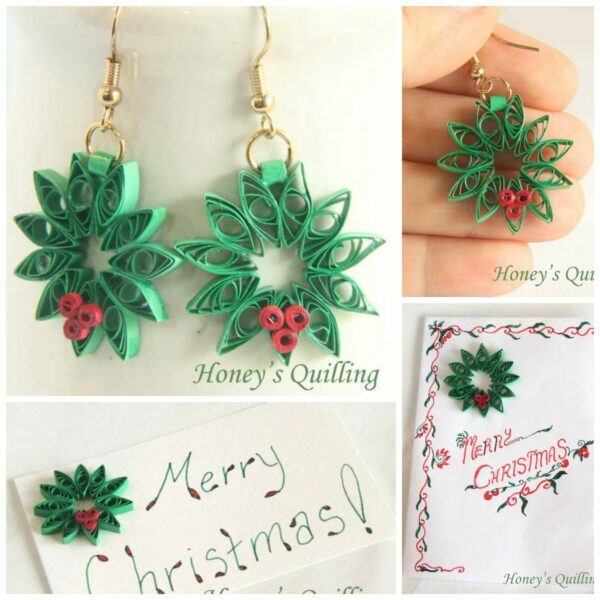 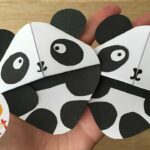 Many moons ago, we had a lovely lovely guest post showing us a great Paper Quilling for Beginngers – it was a beautiful (and easy!) 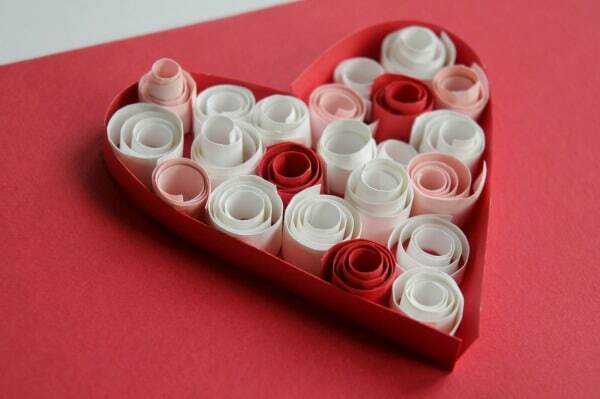 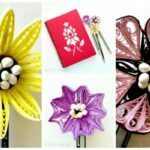 Paper Quilled Heart card – perfect for Valentine’s Day or Mother’s Day. 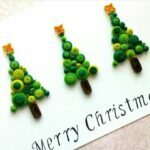 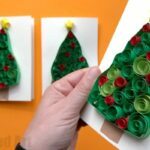 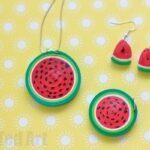 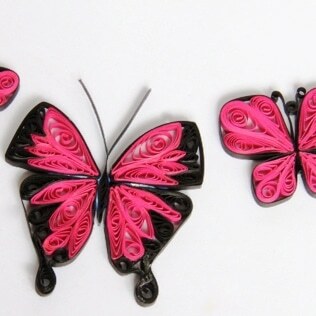 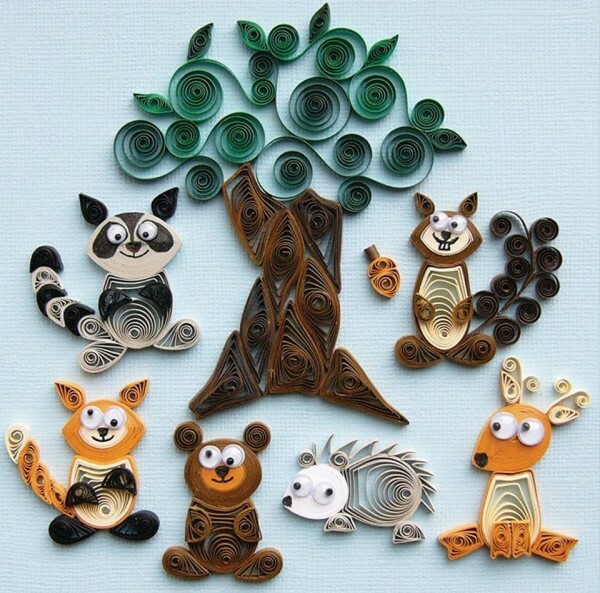 They were well received and I loved the fact that people where having a go at a “new skill” – ie paper quilling – all be it a simplified version of paper quilling. 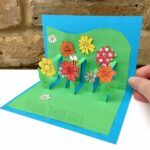 It may be simpler, but it isn’t any less beautiful nor less fun! 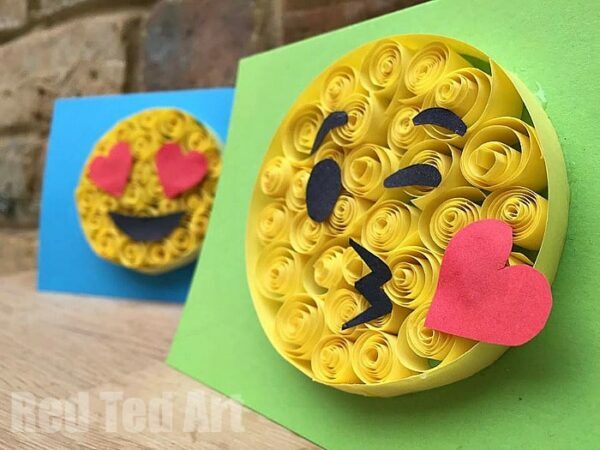 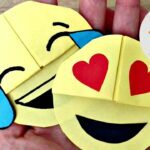 So I decided it would be nice to have another Paper Quilling for Beginners project for you and came up with these Easy Paper Quilling Emoji Cards for you! 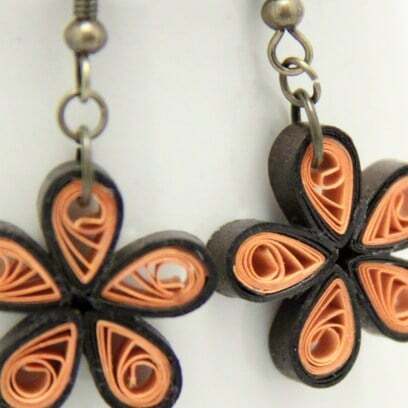 Where old traditions meet modern trends!!!! 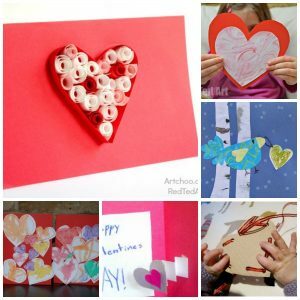 The perfect Valentines Card for Kids to make!